Lasers, optics and electronics. That's my passion. In general physics can fascinate and inspire me. 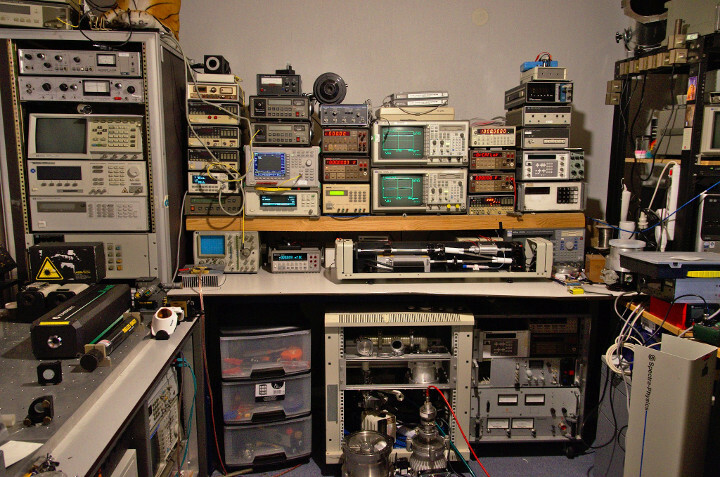 Lasers and optics captured my imagination early on, I already bought my first HeNe laser in the first year of my study and I've only expanded my lab since then. My efforts to capture this in a website are still based on my high school interest in computers and websites, the website is still in the process of being updated. Most projects will be around optics and lasers, and some around electronics. The picture above is my lab here in Enschede. Most of the lasers and the vacuum equipment isn't in the picture, but those will appear somewhere else on the website.